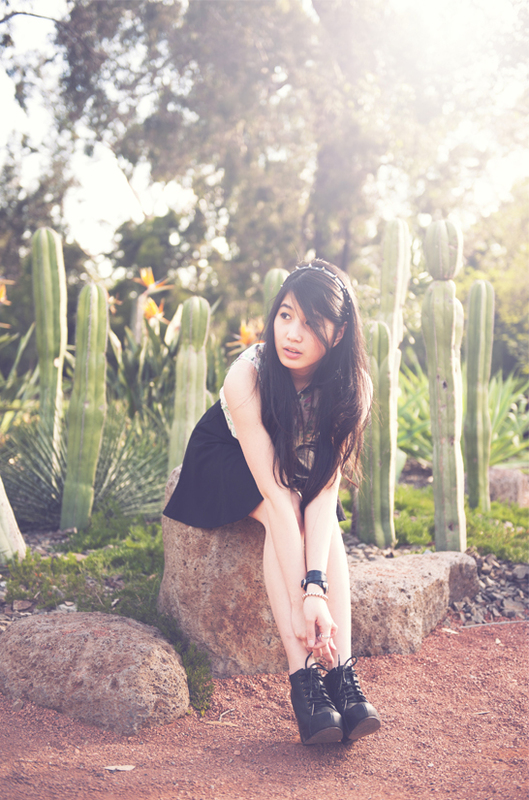 Two weeks ago, Me and my friend went to Botanical Garden. It was the first time I went there even though I have been in Melbourne for two years now. The garden was so big and filled with various type of flowers. 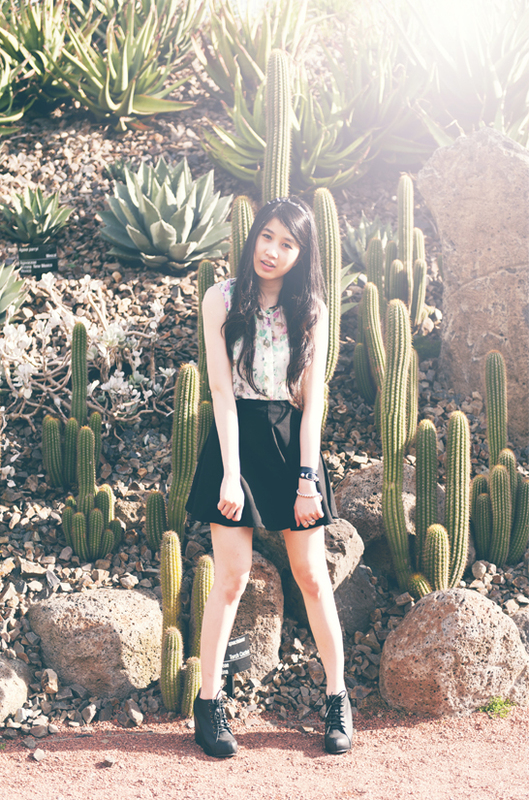 After a long walk, we have decided to have cactus trees as the background since it matches my spiked headband. So, Here are some pictures that my photographer, Grace Wirawan, took for me. glad to foud your blog!